I started reading again over the holiday break. I’ve always read a lot, but after Daughter was born I just didn’t have the time. 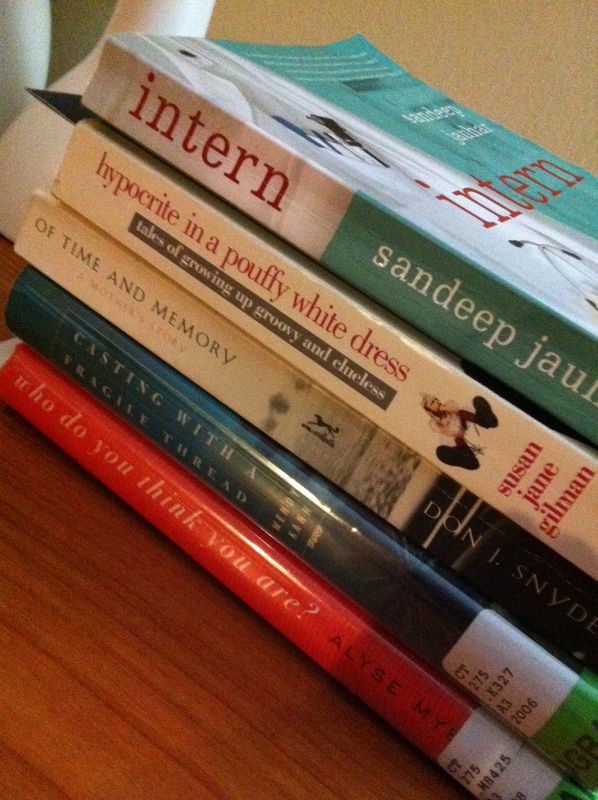 I got a lot pickier about what I read and focused a lot more on Memoir/Creative Non-Fiction. Right before the holidays I was at dinner with my Sister-in-Law and Cousin-in-Law and told them I was looking for a good book for over break. They both suggested The Hunger Games. I had never heard of it. But when we wandered over to the book store they found it and I decided to go with it. Three days later I finished it. And last night I finished the second book in the series. Tonight I’m starting the third. The series is actually categorized as teen science fiction, and totally not my thing, but it’s really very good. And now my 11-year old nephew and I have something else to talk about! And a few more books on my list, clearly more of the Creative Non-Fiction that I love. So, just a few. Can’t wait to curl up with my tea and start reading!